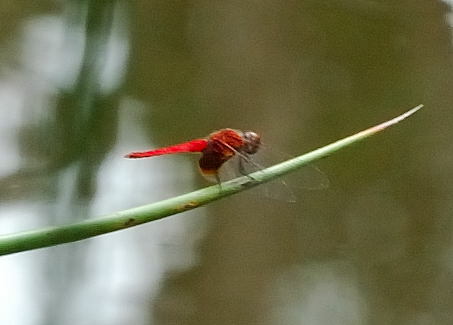 This page contains information and pictures about Red Baron Dragonflies that we found in the Brisbane area, Queensland, Australia. 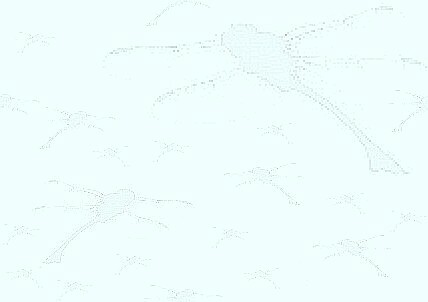 We took this pictures in the Lagoon in Karawatha Forest Feb 2008. We did not expected to found this dragonfly there. We saw a red dragonfly flying around and we thought this was one of the common red Libellulids that we always see. 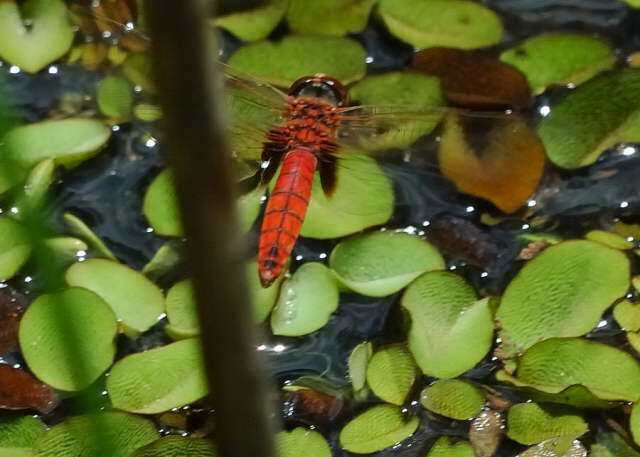 Then we found it was quite large, and it started laying eggs in water. 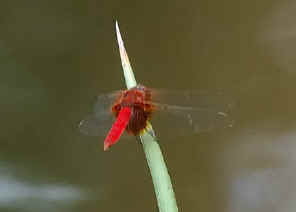 We did not know any female dragonfly which is bright red in colour. Then we took this picture. Return home we find that this is the Red Baron. This is a NEQ species and considered rare in South-east Queensland. We came back to the Lagoon a week later, we found only one male it was perching on reed. 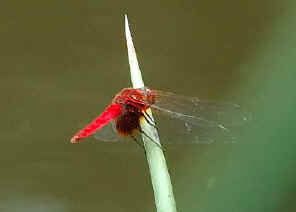 The rounded deep solid red suffusion in base of hindwings distinguished the Red Baron from other dragonflies. When rest, they perch on highest tip of stem same as the Common Gliders. Last updated: March 01, 2008.